TO THE RESCUE allows kids to embark on three grand adventures. First, you join Happy, a small plane who learns that his modest size has advantages. "Diggers" tells a story about a small construction digger who learns the value of his unique gifts. "The Sea Sick Canoe" features a talking canoe suffering from motion sickness, who must overcome his plight. Happy isn't like any of the other planes at the airport. He can't fly very fast, he can't carry lots of passengers and he can't fly around the world, but he can rescue a little boy trapped on a mountain. 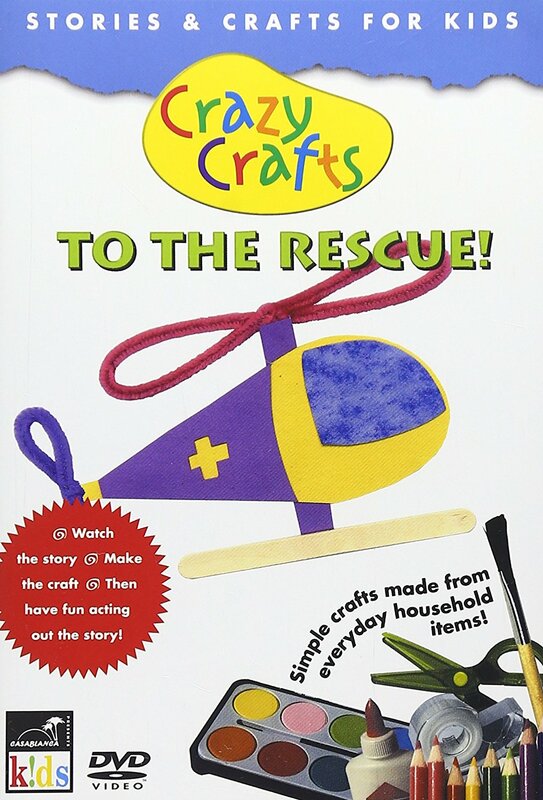 Crafts include a helicopter, propeller plane, large jet plane, a little boy and a paper airplane that really flies. Robby, a young construction digger wants to do all the work that the big construction vehicles do, but he is too small. When the Great Big Differ gets himself into trouble, only Robby can help. Crafts include Robby the little digger, a large digger, a roller truck and a dump truck. When a little birch bark canoe can't go through the river rapids without feeling sick, he asks the bigger boats for a cure for sea sickness. He's given many cures, but must decide which is the best when he's called upon to rescue a young boy trapped in the rapids. Crafts include the canoe, a house boat, a paddle boat, a ferry boat, and the boy.